These elegant cufflink studs are a great way to add some color and new elegance to your formal French cuffed shirts. The solid polished silver body ties in nicely with most other accessories while the teal fabric covering looks best in combination with suits or tux in midnight blue, gray, or black. 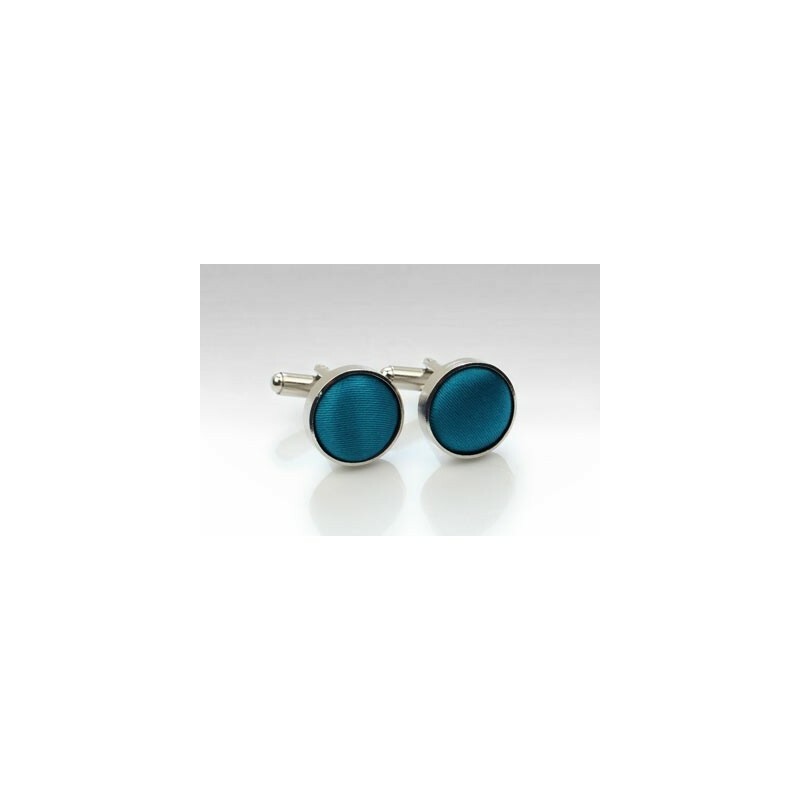 For the summer these cufflinks also look fantastic with beige or cream colored suits - especially when worn also with matching teal colored necktie or bow tie.